Heavy rain has been causing flooding around the country recently and Wellington is no exception as the region receives one dousing after another. Downtown Wellington was drenched during a lunchtime deluge last month with10mm to 20mm of rain falling in Wellington by 1pm. In the hill suburb of Kelburn, 14mm fell in just one hour. Plumbers in Wellington are advising of the benefits of a smoothly operating, efficient plumbing system in these heavy weather events. Of course access to clean water is always essential to good health, hygiene and well-being and modern plumbing and drainage can help us all in times of both water shortages and flood events. That means keeping on top of your plumbing maintenance is important. 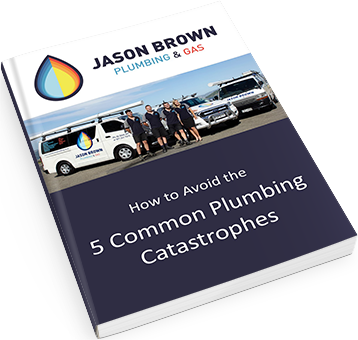 Most people don’t think about their plumbing until a problem arises. Seasonal plumbing maintenance is something you should do regularly to catch small problems early and avoid more expensive issues later. And spring is the ideal time to get started. With spring seasonal plumbing maintenance in Wellington, you should be servicing your water-using appliances — water heaters, hot water cylinders, washing machine and dishwasher and inspecting your drains to ensure they are kept clear. Drains are the key to effective indoor spring plumbing maintenance. Water from heavy storms can seep into cracks in your sewer system causing backups. You can prevent all these problems with regular plumbing maintenance. When a drain is clogged it adds extra pressure adds on the system. Even a slow drain can cause problems, so avoid a headache in our wet spring Wellington weather and get a clog cleared before it becomes a complete blockage. So if you do regular checks and find a problem, contact a local Wellington plumber to fix it as soon as possible and you’ll be prepared for more spring downpours. You don’t have to handle all of your plumbing inspections and repairs alone. When you don’t know what’s wrong, you need assistance with water-related issues, you’re too busy to worry about plumbing maintenance, or the job is too difficult for you to do, contact your local Wellington plumbers to help you. Wellington plumber Jason Brown Plumbing are your courteous plumbing professionals. We recommend these kinds of regular plumbing maintenance services to all our customers. Outside of work, Jason Brown likes to get out amongst the great outdoors. You’ll find him competing in road cycling challenges or out on an adventure with wife and business partner Kirstie Brown and their three young children.